It seems like Cheap Tunes Tuesday has been hammering through a catalog of some of the greatest artists of all time recently, and today’s feature is no exception. Today’s band was referred to as, “the most successful folk-rock duo of the 1960s” and has won 10 Grammy Awards leading to being inducted into the Rock and Roll Hall of Fame in 1990. In the early 1950s, a couple guys were growing up in the predominantly Jewish neighborhood of Forest Hills in Queens, New York. Living just three blocks away from one another and attending the same school, Paul Simon and Art Garfunkel met at a young age, also sharing their love of music. They became great friends after starring in a sixth grade play together, playing a street-corner doo-wop group. In high school they wrote a few originals and even got signed to a label at age 15. Going under the name Tom and Jerry at the time, they would see a single become a smash hit on AM radio and sell over 100,000 copies. While a good start, the success only earned them $4,000 for the song total— but did give them a taste for the business. After their debut album as Simon and Garfunkel failed, and they had a temporary breakup, they released The Sound of Silence in January of 1966. The title track was released years earlier acoustically, with the newer version being overdubbed with guitar and drums. The result was a smash hit single and a million albums sold within a year. Despite the major commercial success, some critics were negative about the record, considering the duo too manufactured for the current folk scene. Part of that was the label deciding to capitalize on the success, re-releasing all the old stuff and pushing the band all over the media. Their response was to take their time on the subsequent releases, which would lead to more than 20 million more albums sold over the next four years. 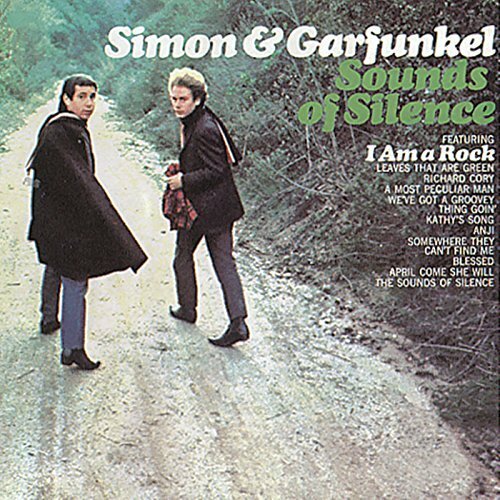 Simon and Garfunkel seem to be one of those bands where you remember where you were and what you were doing when you first heard them. Tracks like “The Sound of Silence” or “Mrs. Robinson” are so iconic even to this day; it’s hard to not be aware of the classic duo. Their sound almost is the signature of the time—that late ‘60s folk rock revolution and you could put Paul and Art on the cover of that book. Some of the sound is a little reminiscent of The Beatles on this particular album, but no one would confuse the two over the bulk of their catalog. Simon and Garfunkel have had a tumultuous relationship over the last five decades, and that might be putting it mildly. After various breakups and public arguments, the two seem to always drift back together and find their way to a stage. If you get a chance to see them perform live, it’s very worth your time and money. If you need more proof the band is a mega success, they hold two of the top five most-attended concerts of all time—over 500,000 in Central Park and 600,000 in Rome. Their sound evolved a bit over the years to shed the folk rock label, but there is no denying their place in music history because of their original stuff. Well worth $5 bucks for sure, but also worth your hour today. Be a rock, be an iiiiiiiiiiiiiisland.